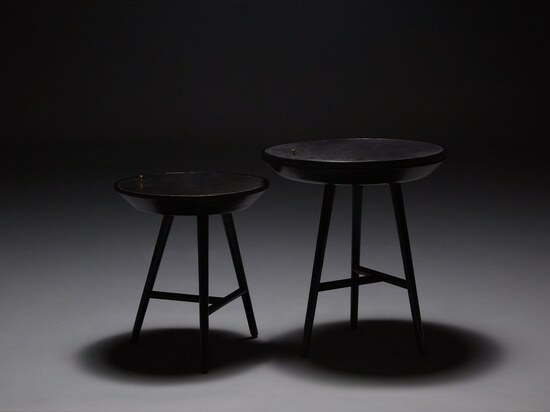 Chinese product designer Sheng Yin collaborated with artist Kai Yi to create this entirely black series of wood and leather furniture. 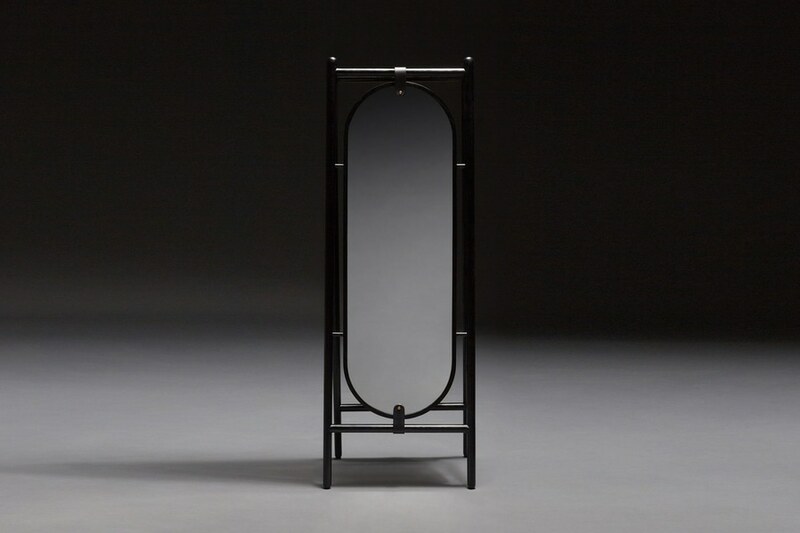 All of the pieces in the Black Dream collection, which was presented at Design China Beijing during Beijing Design Week 2018, are limited edition. 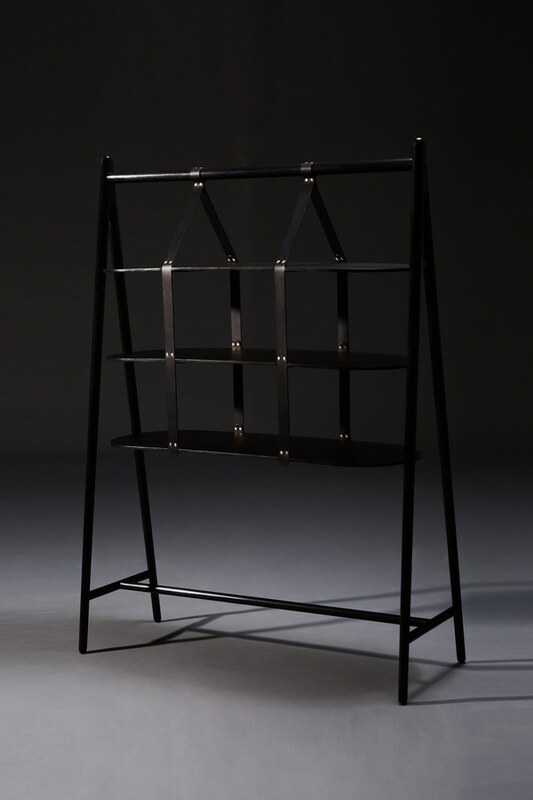 The range includes a black leather chair, a shelving unit, two side tables in different sizes, a floor light, and a mirror unit that incorporates a bottle rack and divider screen. "The designs can't be made by machines," said Yin. "Only the best craftsman can do this. "The duo want to show how the post-1990s generation can take traditional knowledge and styles and integrate them into modern lifestyles. 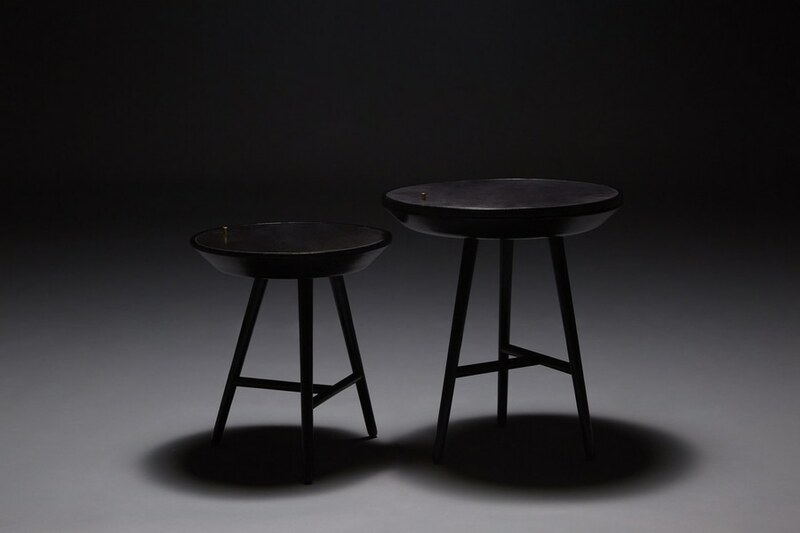 Describing the series as the result of a combination of art and thoughtful design, they hope that the pieces will help young buyers in China customise their homes with furniture that represents their culture as well as their taste. 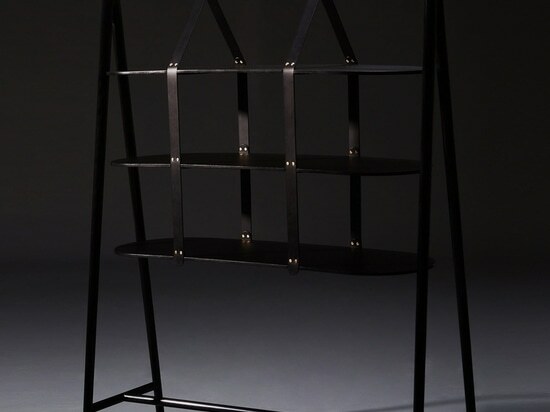 "I want the pieces to be more than products," said Yin to Dezeen. "You can see that everything is alive. It can all move: the chair seat is not flat and stable; if you sit for a long time it will take on the shape of your body. Everything has its own life. 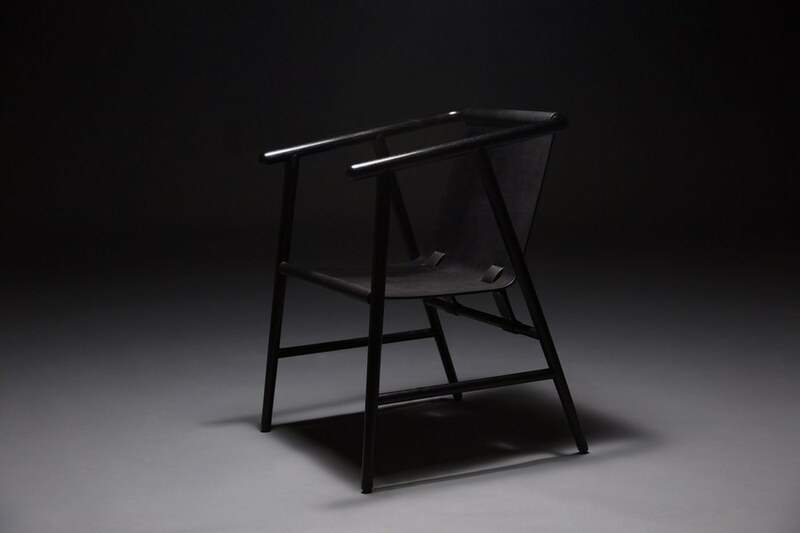 "Using natural materials such as wood and leather, which absorb temperature from the room and from the human body, the creators hope to show that "warm products that can replace cold industrial processes". The details, including the stitching on the leather, are all finished by hand to create details that the designers pointed out were too subtle for a machine. 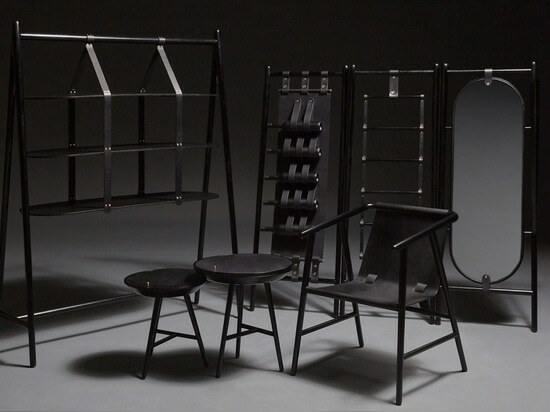 "We want to put some soul in each of the products," said Yin.Yin graduated from the Central Academy of Fine Arts in 2014 and set up a furniture brand called Skeletonskin that focuses on handcraft. 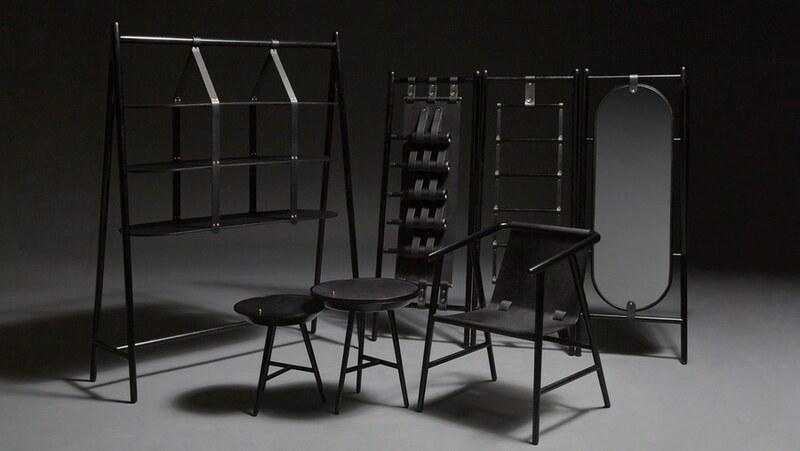 Artist Yi works with leather and textiles. His early work was inspired by archery quivers and archery accessories and more recently he has been creating work that responds to motorcycle culture. 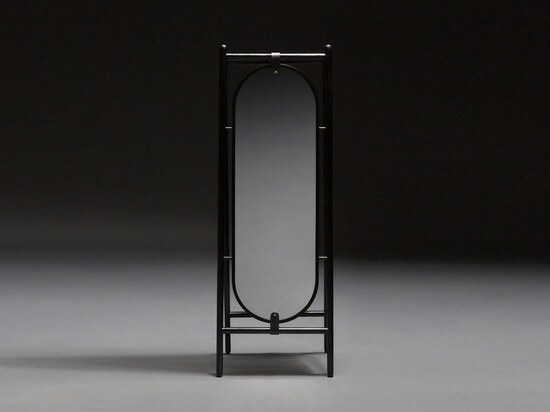 Yin and Yi were among of a number of designers at the inaugural Design China Beijing exhibition seeking to reinterpret Chinese tradition and traditional crafts through modern-looking homeware. 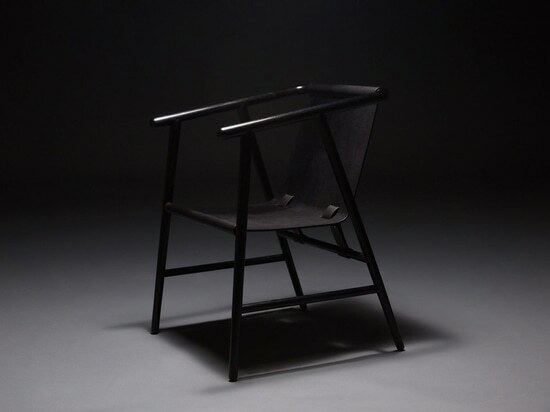 Also on display were chairs by Tsinghua University furniture design graduate Yuming Hu that were designed for restless users. The exhibition ran from 20 to 25 September at the National Agricultural Exhibition Centre in Beijing.